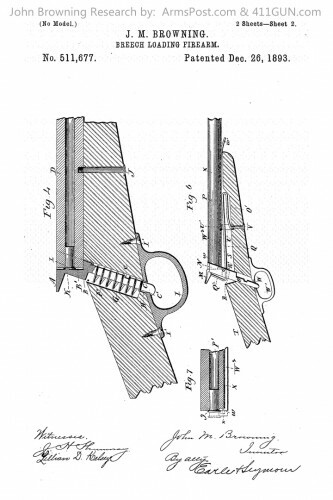 John Moses Browning had applied for US Patent 511677 on December 23rd, 1892 and was later granted this patent on December 26th, 1893. This breech loading firearm appears to be a .22 LR. 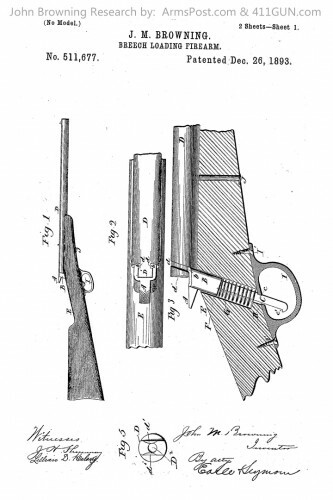 This US Patent was for a breech loading firearm.